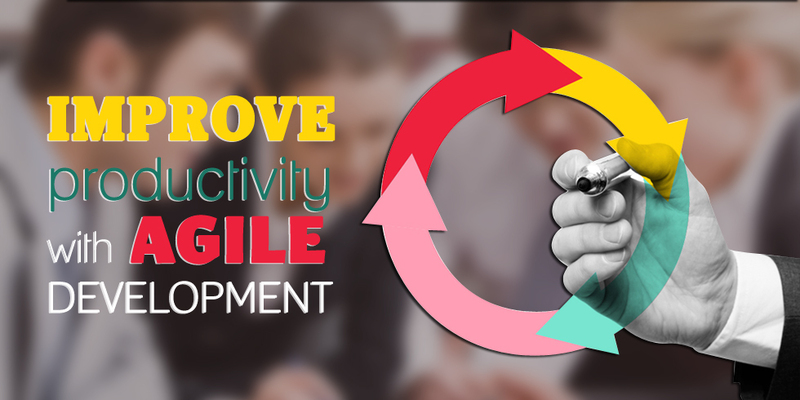 How Agile Development Boosts Productivity? Faster time to market the product is one of the potential benefits associated with boost in productivity. You will see that you have acquired an edge over your competitors in the segment, by getting your product out in time, and much before others could even foresee something like it. The question remains, how would you boost your productivity? You may have heard that higher productivity equals more scope delivered in the same time frame. Isn’t that something you would want for your product? Yes, adopting agile can give your productivity wings to fly, and help you deliver more scope in the same time frame. Generally, projects fall in the important but not urgent quadrant. The timeline of the project depends entirely on the project scope; most times medium to large projects last for a period of 6+ months. During those months before delivering the project, you will be spending endless hours in phone calls and emails, which takes up most of the time given for your project. When you spend most of the time in quadrant 3 and quadrant 4, you will see that neither is the deadline visible nor would you be productive enough to complete the project and deliver it on time. As the deadline approaches, the visibility of the project becomes clear, and suddenly the work gains importance. The project’s urgency increases, and work load increases with that. This means the people working on the project will sit long hours to deliver it on time. When the deadline is just a few days away, you will see people working overnight, just to finish the thing on time. The project is now in crisis situation. Even holidays are spent working on the project, so that you can deliver it on time. Here, it is being assumed that the scope is well defined, and hours planned is the amount of effort that will go into delivering the project. But, this is what you call an ideal situation. In real situation, you will never find a single person working 6-8 hours effectively on a single projectIt is only when the deadline approaches that the number of hours punched into a project go up to 6-8 hours in a day. The extra hours are not needed if the quadrant 2 is actually considered as important and not urgent. It is fine if you don’t put in long hours, but you should not neglect it. When you treat your project with agile methodology, you are basically converting that one large scope into small deliverable scopes. The deadline for the small deliverable scope is defined, and is more visible than that one large scope that seemed like a giant elephant. The short deadline transfers the small scope in the important and urgent quadrant as per the time management matrix. This approach is healthy with regards to completing the task on time, and producing the deliverables just in time. The time frame is realistic, and the achievements are doable. What happens in this case? The scope is small, and gets achieved in a small time frame. Moving over to the other side, the more traditional approach, you will see that the same task takes 6 hours on an average, and the pressure is high. In this case, you won’t find people burning the night lamps to get the task done. Using agile methodology, you can easily accomplish the entire project in the small scopes defined by you. The whole pressure remains healthy, and you get to deliver the project within the specified deadline. Semaphore Software incorporates agile methodology in its software solutions to ensure delivery of the scope on time. Get in touch with us via info@semaphore-software.com to know more about the agile methodology solutions offered by us.